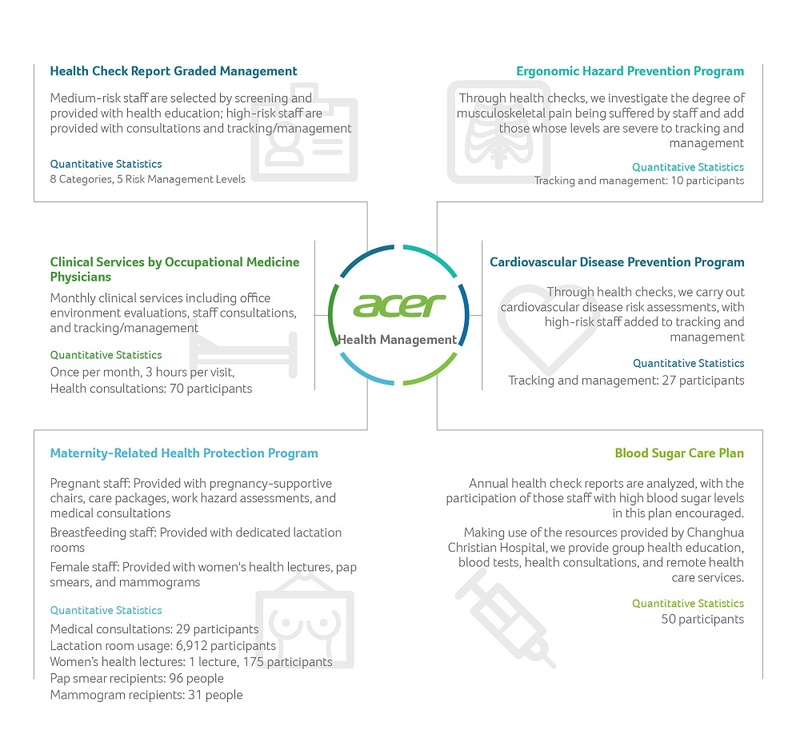 Acer Taiwan has also established a Safety and Health Management Department staffed with professional health and safety management and nursing personnel. Each month, the department coordinates with occupational medicine physicians to provide clinics and to plan and promote occupational health and safety services. 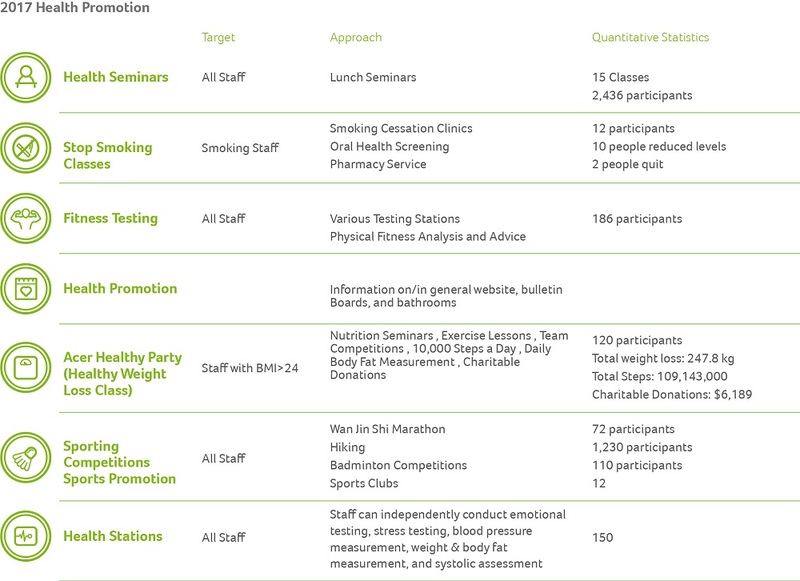 In order to adhere to legal requirements and strengthen staff understanding of health and safety, thus preparing our offices for emergency responses, Acer holds annual training and education programs tailored to different groups, aiming to improve focus on and create a corporate culture of health and safety. 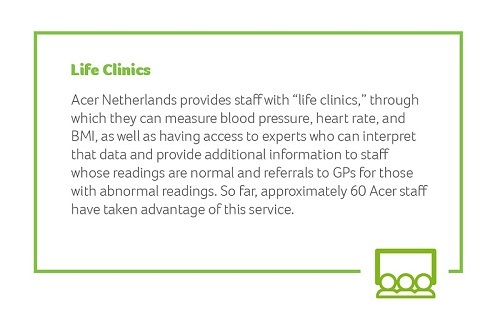 Acer places great importance on the health of our staff. To ensure our workplaces are healthy and safe, we pay constant attention to the insights and recommendations of our staff in this regard and strive to communicate, respond, and improve in a prompt fashion. Each year we convene an Environmental Health and Safety Committee to identify and assess workplace hazards risks and environmental impact considerations. Any existing or potential risks and high-impact items that are identified are then subject to assessment and improvement. In order to monitor office environment quality, we carry out office-area cleaning and disinfection in link with our annual plan. We also regularly invite specialist organizations to conduct tests of drinking water quality, interior carbon dioxide levels, cooling tower legionella, and other environmental factors.